Only heard two Spartans on tonight, both on 40 meters. Thanks to NØTA in Colorado and NK6A in California for coming back to me. You know propagation is bad when you don’t even hear John, K4BAI in GA.
20M dead. 40M: heard K7TQ, but he couldn't hear me calling. 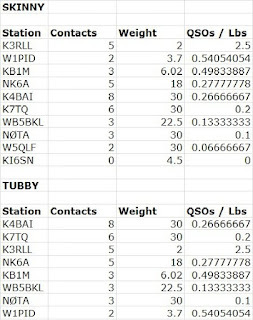 Heard and worked NK6A in CA and three stations in NH. Band very noisy. Thunderstorms approaching from the west. 80M: Worked FL, AL, TX, GA. QRN worse than on 40. 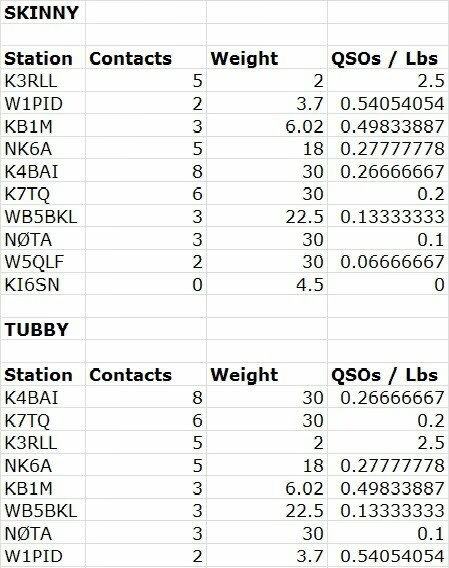 Thanks for the QSOs. 72, John, K4BAI. A rough night in ID, but had a good time with my new KX2. The Noise Reduction really helped. Qs only on 40 and 80 and no one made it on both bands. With DST next month, I hope to get out and away from home. K3/10 @ 5W to a 40M dipole or a 40M extended double Zepp. I seem to adrift in the doldrums. After my contacts with the two Dons on 40M - K3RLL and NK6A - it was over an hour until I worked K4BAI on 80M. I heard, but could not work, K7TQ and NØTA. I can say with absolute confidence that the best signal I worked on 40 was from Don - and John's was the best on 80. That's three QSOs. I sincerely hope that every sprinter had better luck than I did this month. However, as always, I had fun. Efforts on 80-meters from Southern California turned out to be an exercise in listening. Heard, but couldn't work, WB5BKL. He varied from 329 to ESP and was the only signal heard in high noise. Way to go, Nick! CU all in April's Spartan Sprint.